June 9, 2010. 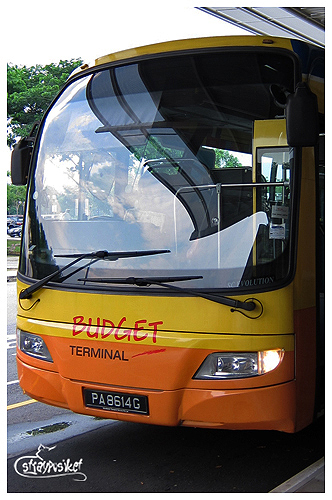 After 3 hours, we finally touched down at Changi Budget Terminal. It was a smooth flight. Thank God. 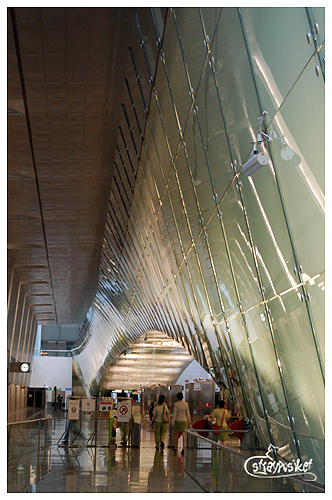 The Changi Budget Terminal looks very different from the 3 main Changi airport terminals. Just like Kuala Lumpur's LCCT, it is small (think giant warehouse). 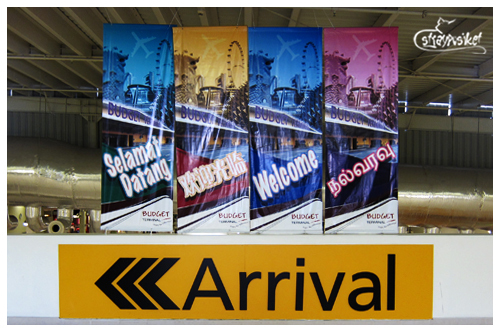 Welcome in four languages – Malay, Mandarin, Tamil and English. 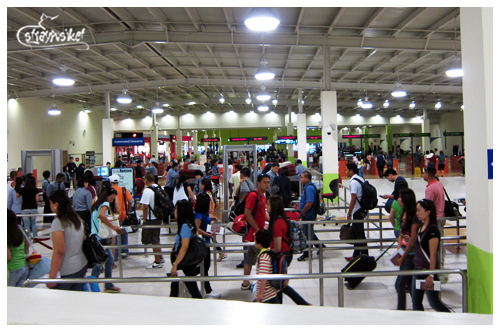 Queue for security inspection before the immigration counters. 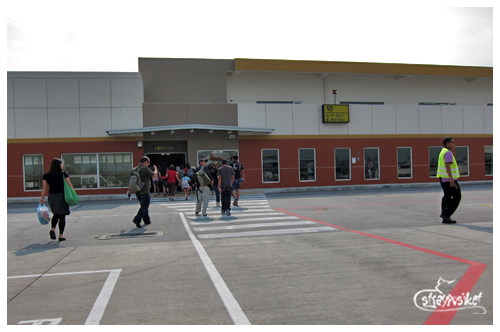 We were still lined at the immigration when the PA announced that the Tiger Airways flight from Clark has just arrived. I noticed that all the passengers of that airline (almost half of them were Filipinos) went directly to the immigration counters. Bakit kaming sakay ng 5J pinadaan pa sa security? Hmmmm. Anyway, after passing through the immigration, I headed directly to the Duty Free Shop to buy liquor as requested by my cousin. 1 litre beer, stout, ale or porter. If you’re travelling in a group and planning to purchase more than one of each kind, you can make use of all your passports. Like in our case we bought 2 bottles of Absolut Vodka, 2 bottles of Bombay Sapphire (which are all spirits), and 3 bottles of Heineken so the cashier asked for 4 passports for the transaction. We exchanged some SGDs at the forex counter just before the exit. 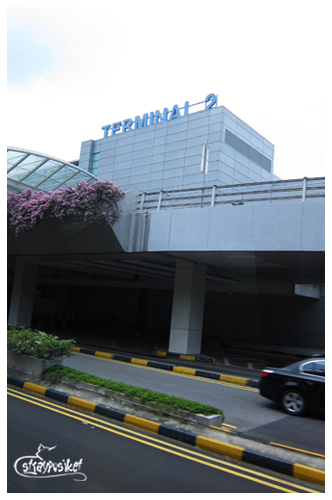 We then headed outside the arrival area then got on the free shuttle bus to the main Changi Terminal where the MRT to the city is connected. 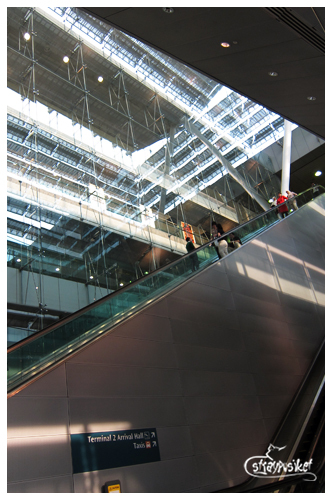 welcome to terminal 2! So sosi the interiors. 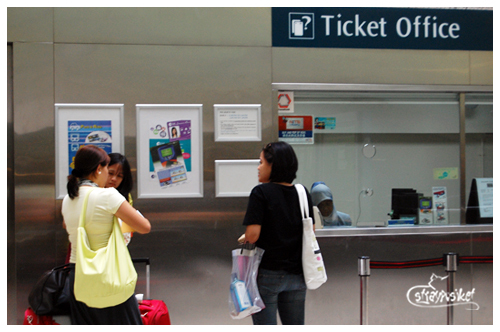 We followed the signs leading to the MRT station then proceeded to the counter and bought our EZ link cards.